These scholarships are "no strings attached" in that the money can be used in any way to help with the many expenses of college. 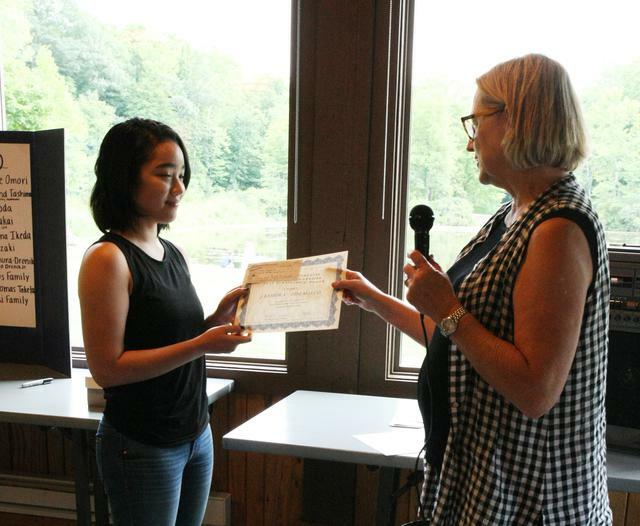 Scholarships will be awarded at the Community Picnic held this year on August 11, 2019 at Furnace Run in the Akron Metroparks. 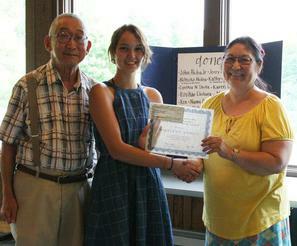 We honor all high school graduates of Japanese descent. Questions regarding the scholarships can be directed to Bill Sadataki at 330-659-3880. Please note that applications must include a referral letter and transcripts. The committee will not consider incomplete applications. Notification will be given to the winner or winners in June. 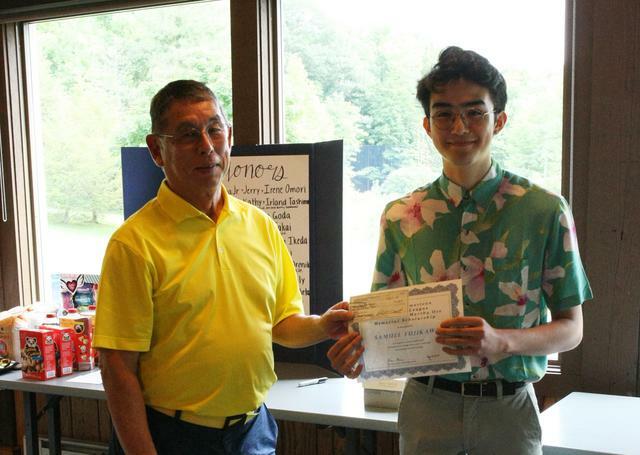 Sam Fujikawa received the Tom and Martha Oye Memorial Scholarship presented by their son, Tom Oye.